Ted Cruz financed Senate campaign with Goldman, Citibank loans. 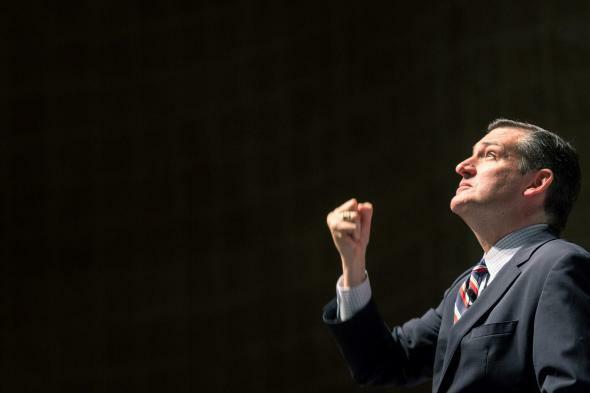 The New York Times crunched the numbers on Republican Ted Cruz’s 2012 Senate campaign expense reports and found the now–Texas Senator did not fund his final campaign push by breaking the family piggybank, as Cruz has said on many occasions. Cruz also received as much as a million dollars in low-interest loans from Goldman Sachs and Citibank, a portion of which, the Times deduces, must have been pumped into the campaign. Now, while taking out a loan to run for office may not be a great idea fiscally, it’s not necessarily a problem ethically. Here, however, is what’s problematic.